The first major Boxing event of 2019 will take place on Saturday night at the MGM Grand Garden Arena in Las Vegas, NV as future Hall of Famer Manny Pacquiao squares off against former four-division world champion Adrien Broner. The twelve round bout in the 147lb. Welterweight division will headline a four fight card being televised by Showtime pay-per-view here in the United States. This is an interesting match-up both in terms of a clash of styles and from a standpoint of where Pacquiao and Broner are in their respective careers. There is no disputing Manny Pacquiao’s status in the sport of Boxing and his career accomplishments during an illustrious career. In recent times however, a central topic of discussion regarding the former eight-division world champion has been how much longer will Pacquiao continue competing in the sport. After all, Pacquiao has been actively in competition since 1995 and the years, as well as the wars he has been in over the course of sixty-nine professional fights have had to of taken some toll on him. In his last fight however, in July of last year the forty year old showed glimpses of his prime as he dominated longtime contender Lucas Matthysse and stopped him in seven rounds. The win for Pacquiao, his first since losing the WBO Welterweight world championship to Jeff Horn in July of 2017, appeared to be what some might say is a resurgence for the future Hall of Famer. The stoppage of Matthysse also put Pacquiao in line for another shot at a world championship having earned interim/regular champion status in the WBA's Welterweight ratings, which in simple terms makes him the mandatory challenger for undefeated current WBA champion Keith Thurman. Nearly twenty-four years to the day of his professional debut, Pacquiao now prepares to step in the ring for the seventieth fight of his illustrious career by facing Adrien Broner. Broner, a former four-division world champion, who has won world titles from the 130lb. Jr. Lightweight division to the 147lb. Welterweight division is eleven years younger than Pacquiao and stylistically would appear to pose a difficult test for Pacquiao. Despite his success in winning four world championships in four different weight classes, Broner much like Pacquiao has suffered some career setbacks along the way. For the twenty-nine year old Broner, this fight represents an opportunity to not only bounce back, but to do so on a significant stage. In his last fight in April of last year, Broner fought to a draw with former WBO Welterweight world champion Jessie Vargas. Although Broner has won world championships in four weight classes, some might say that this fight against Pacquiao is significant in terms of Pacquiao being the most high-profile opponent Broner will have faced. Stylistically, this figures to be an interesting tactical fight between an offensive-minded fighter in Pacquiao, who is known for his ability to use lateral movement to throw punches from every conceivable angle against a defensive-minded fighter in Broner, who does not necessarily look to overwhelm his opposition with offense, but is known for his counter punching ability. While not always aggressive with his offense, Broner tends to make the most of his offense and is usually accurate with the punches he throws over the course of a fight. A misconception that some might have prior to this fight might be that Broner’s defensive style, which is similar to Floyd Mayweather, who defeated Pacquiao in 2015, is likely to give him an edge. It is true that Mayweather tactically out boxed Pacquiao in a fight that failed to live up to the expectations of many. Pacquiao however, chose to enter that fight with an injured shoulder and while it does not take away from Mayweather’s performance, some have contended that Pacquiao’s performance in that fight may have been different if he were 100%. Despite having a similar defense to Mayweather, it has not always worked to Broner’s advantage as in his three losses to Marcos Maidana, Shawn Porter, and Mikey Garcia, all three were able to outwork Broner and keep him defensive. Simply put, Broner was not able to be effective with his offense in those bouts. With this in mind, this fight appears interesting yet simple to describe as to what each fighter will likely need to do in order to win. For Pacquiao, the fight plan is likely to be offensive from the outset and look to make Broner uncomfortable. Pacquiao has the ability to swarm an opponent with offense. It is logical to expect that Pacquiao will attempt to use angles to set up offense in spurts to keep Broner on the defensive. Pacquiao must however, must not be reckless as he has shown a tendency to be overly aggressive at times most notably when he was caught and knocked out by Juan Manuel Marquez in the fourth of their four fights. While that knockout in December 2012 was brutal, it did give the appearance that Pacquiao is susceptible to being caught. Although a fighter should not attempt to fight Pacquiao or any fighter with the expectation of landing one punch to win a fight, the old adage is that the one way to negate speed is timing. Style wise Pacquiao would appear to have an advantage in terms of speed both in regard to lateral movement and hand speed over Broner. One of Broner’s strongest assets in addition to being solid defensively is his ability to execute timing to set up his counter punches. If Pacquiao takes an overly aggressive approach it might fall right into Broner’s hands in wanting to win by making Pacquiao miss and make him pay with counter shots. The key in my eyes for Broner will be for him to find a balance between not negating his defensive counter punching style, but at the same time establishing a consistent offensive rhythm that will not allow himself to be outworked over the course of the fight that has led to some of his losses in his career. Finding that balance however, could be easier said than done. In addition to the potentially difficult task that will be in front of Pacquiao, the potential of a second encounter with Floyd Mayweather, who is currently retired, might be in Pacquiao’s future if he can defeat Broner. If Pacquiao underestimates Broner with an eye on what might be ahead, it could prove to be costly in this fight. Taking the potential of a Mayweather-Pacquiao rematch out of the equation, this fight is an example of just how deep the talent pool is currently and historically has been in the 147lb. Welterweight division. No matter who wins this fight, whomever emerges victorious on Saturday night will be in line for even more lucrative opportunities going forward. Pacquiao vs. Broner takes place tomorrow night (Saturday, January 19th) at the MGM Grand Garden Arena in Las Vegas, NV. The fight can be seen on Showtime Pay-Per-View across cable and satellite providers in the United States for $74.95. 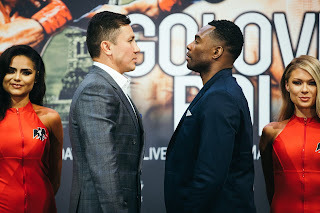 The pay-per-view broadcast will also be available through the Showtime app on mobile and tablet devices as well as connected devices like Roku, Apple TV, and Amazon Fire TV as well as being available on Playstation 4 through the Playstation Store. In the United Kingdom and Ireland the card can be seen on ITV 4 beginning at 2AM (Local UK Time.) For more information about ITV 4 and for time and channel in your area please visit: www.itv.com, Check your local listings Internationally.